Bruno is Brazilian, born and raised in São Paulo. 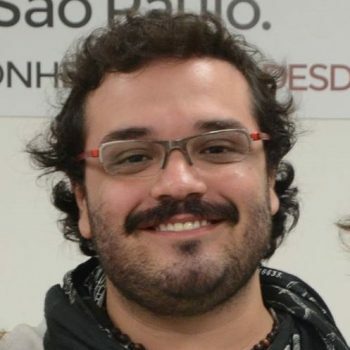 He holds a Bachelor’s degree in Social Science from Foundation School of Sociology and Political Science of São Paulo (FESPSP). He is a human rights activist and founding member of the Human Rights Group of FESPSP (NDH-FESPSP) and former coordinator for refugees assistance in Adus – Refugee Integration Institute. He volunteered in Jinja, Uganda for the NGOs: Arise and Shine Uganda (AASU) and Peace for Paul Foundation. At AASU he was the coordinator of a cooperative on the countryside with the purpose of bringing social income for the villagers. He has a personal belief that people can create a common narrative even in the hardest situations to allow them to communicate and find solutions together. For that, he is always looking for multicultural environments to create fresh ideas and new ways to address social challenges.